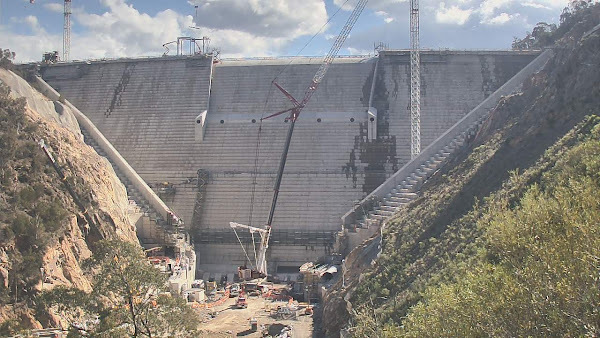 Rawhide Kid Part 3 tipped us off that they appear to be dismantling the cranes at the Dam construction site. You can, of course, watch this whole thing from the DamCam. I kinda liked the cranes being there, and after they survived being deluged with flood water I feel they had earned their spot. Thanks for letting us know. I don’t suppose ACTEW is going to release one of those speeded up YouTube films of the dismantling?